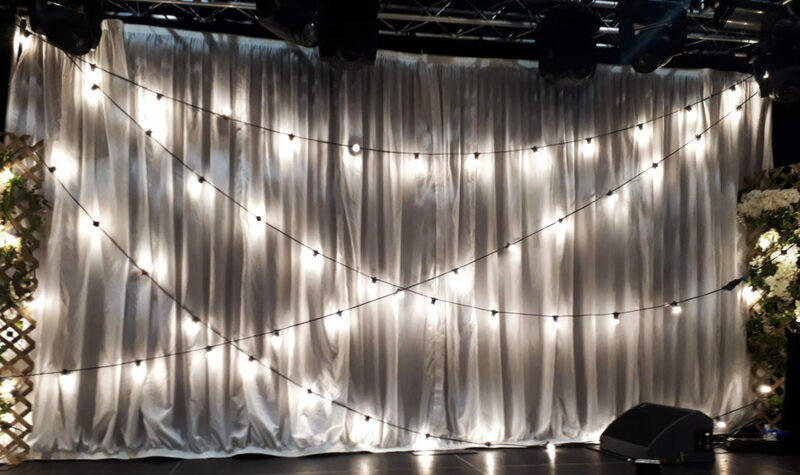 If you’re planning an outdoor event that requires festoon lights or even an indoor event with a specific theme (carnival, summer wedding), we have festoon lights that can help you achieve your desired result. Our lengths of festoon lights start from 4m upto 20m in length each and run from 16A or 13A plugs depending on the application. You can hire our festoon lights for distances of up to 500m. This length is suitable for covering large venues. If you’re unsure how much festoon lighting you require, simply get in touch and we can recommend a length for you. We also have the necessary frame hardware to create freestanding festoon designs in open areas.